Not to be confused with Salaf. The Salafi movement, also called Salafist movement, Salafiya, and Salafism, is a reform branch or revivalist movement within Sunni Islam that developed in Egypt in the late 19th century as a response to Western European imperialism, with roots in the 18th-century Wahhabi movement that originated in the Najd region of modern day Saudi Arabia. It advocated a return to the traditions of the salaf, the first three generations of Muslims, which include the generations of the Islamic Prophet Muhammad and his companions (the Sahabah), their successors (the Tabi‘un), and the successors of the successors (the Taba Tabi‘in). The Salafist doctrine is centered around the concept of looking back to a prior historical period in an effort to understand how the contemporary world should be ordered. They reject religious innovation or bid'ah, and support the implementation of sharia (Islamic law). The movement is often divided into three categories: the largest group are the purists (or quietists), who avoid politics; the second largest group are the activists, who get involved in politics; the third group are the jihadists, who form a minority and advocate armed struggle. In legal matters, Salafis are divided between those who, in the name of independent legal judgement (ijtihad), reject strict adherence (taqlid) to the four Sunni schools of law (madhahib), and others who remain faithful to these. The majority of the Salafi Sunnis in the Persian Gulf states reside in Qatar, United Arab Emirates and Saudi Arabia. 46.87 per cent of Qataris and 44.8 per cent of Emiratis are Salafi Sunnis. 5.7 per cent of Bahrainis are Salafi Sunnis and 2.17 per cent of Kuwaitis are Salafi Sunnis. Salafi Sunnis are the "dominant minority" in Saudi Arabia. There are 4 million Saudi Salafis since 22.9 per cent of Saudis are Salafis (concentrated in Najd). Salafi literalist creed has also gained some acceptance in Turkey. At times, Salafism has been deemed a hybrid of Wahhabism and other post-1960s movements. Salafism has become associated with literalist, strict and puritanical approaches to Islam – and, particularly in the West, with the Salafi Jihadis who espouse violent jihad against those they deem to be enemies of Islam as a legitimate expression of Islam. Academics and historians have used the term "Salafism" to denote "a school of thought which surfaced in the second half of the 19th century as a reaction to the spread of European ideas" and "sought to expose the roots of modernity within Muslim civilization". However some contemporary Salafis follow "literal, traditional ... injunctions of the sacred texts", looking to Ibn Taymiyyah, or his disciple Ibn Kathir rather than the "somewhat freewheeling interpretation" of 19th-century figures Muhammad Abduh, Jamal al-Din al-Afghani, and Rashid Rida. Major figures in the movement includeIbn Taymiyyah, Muhammad ibn al Uthaymeen, Rabee al-Madkhali , Muqbil bin Hadi al-Wadi'i, Muhammad Nasiruddin al-Albani, and Saleh Al-Fawzan. Salafis consider a hadith that quotes Muhammad saying, "The best of my community are my generation, the ones who follow them and the ones who follow them." as a call to Muslims to follow the example of those first three generations, known collectively as the salaf. or "pious Predecessors" (السلف الصالح as-Salaf as-Ṣāliḥ). The salaf are believed to include Muhammad himself, the "Companions" (Sahabah), the "Followers" (Tabi‘un), and the "Followers of the Followers" (Tabi‘ al-Tabi‘in). According to Bernard Haykel, "temporal proximity to the Prophet Muhammad is associated with the truest form of Islam" among many Sunni Muslims. The Salafi da'wa is a methodology, but it is not a madh'hab in fiqh (jurisprudence) as is commonly misunderstood. Salafis may be influenced by the Maliki, Shafi'i, Hanbali or the Hanafi schools of Sunni fiqh. Salafis place great emphasis on practicing actions in accordance with the known sunnah, not only in prayer but in every activity in daily life. For instance, many are careful always to use three fingers when eating, to drink water in three pauses, and to hold it with the right hand while sitting. In legal matters, Salafis are divided between those who, in the name of independent legal judgement (ijtihad), reject strict adherence (taqlid) to the four schools of law (madhahib) and others who remain faithful to these. Salafi scholars from Saudi Arabia are generally bound by Hanbali fiqh and advocate following an Imam rather than having individuals try to interpret and understand scripture alone. Other Salafi scholars, however, believe that taqlid is unlawful. From their perspective, Muslims who follow a madhab without searching personally for direct evidence may be led astray. The latter group of scholars include Rashid Rida, al-Khajnadee, Muhammad Abduh, Saleem al-Hilali and Nasir al-Din al-Albani. At the far end of the spectrum of belief, some Salafis hold that adhering to taqlid is an act of polytheism. Modern-day proponents of the Athari school of theology largely come from the Salafi (or Wahhabi) movement; they uphold the athari works of Ibn Taymiyyah. For followers of the Salafi movement, the "clear" (i.e. zahir, apparent, exoteric or literal) meaning of the Qur'an, and especially the prophetic traditions, has sole authority in matters of belief. They believe that to engage in rational disputation (kalam), even if one arrives at the truth, is absolutely forbidden. Atharis engage in an amodal reading of the Qur'an, as opposed to one engaged in Ta'wil (metaphorical interpretation). They do not attempt to conceptualize the meanings of the Qur'an rationally, and believe that the "real" modality should be consigned to God alone (tafwid). Historians and academics date the emergence of Salafism to late 19th-century Egypt. Salafis believe that the label "Salafiyya" existed from the first few generations of Islam and that it is not a modern movement. To justify this view, Salafis rely on a handful of quotes from medieval times where the term Salafi is used. However, these quotes provide dubious and weak evidence for their claim since the term "Salafiyya" and its derivatives are not commonplace in medieval and pre-modern literature. One of the quotes used as evidence and widely posted on Salafi websites is from the genealogical dictionary of al-Sam'ani (d. 1166), who wrote a short entry about the surname "al-Salafi" (the Salafi): "According to what I heard, this [surname indicates one's] ascription to the pious ancestors and [one's] adoption of their doctrine [madhhabihim]." The scholar Lauzière comments that, "al-Sam'ani could only list two individuals—a father and his son—who were known by it. Plus, the entry contains blank spaces in lieu of their full names, presumably because al-Sam'ani had forgotten them or did not know them." Further, he states that "al-Sam'ani's dictionary suggests that the surname was marginal at best, and the lone quotation taken from al-Dhahabi, who wrote 200 years later, does little to prove Salafi claims." In the modern era, however, many Salafis adopt the surname "al-Salafi" and refer to the label "Salafiyya" in various circumstances to evoke a specific understanding of Islam that is supposed to differ from that of other Sunnis in terms of creed, law, morals, and behavior. Modern Salafists consider the 18th-century scholar Muhammed bin 'Abd al-Wahhab and many of his students to have been Salafis. He started a reform movement in the remote, sparsely populated region of Najd. He advocated purging practices such as shrine and tomb visitation, which were widespread among Muslims. 'Abd al-Wahhab considered this practice to be idolatry, representative of impurities and inappropriate innovations in Islam. Some who have observed trends in the Salafist movement have divided Salafis into three groups – purists, activists, and jihadis. Purists focus on education and missionary work to solidify the tawhid; activists focus on political reform and re-establishing a caliphate through the means of evolution, but not violence (sometimes called Salafist activism); and jihadists share similar political goals as the politicians, but engage in violent Jihad (sometimes called Salafi jihadism and/or Qutbism). "Purists" are Salafists who focus on non-violent da'wah (preaching of Islam), education, and "purification of religious beliefs and practices". They dismiss politics as "a diversion or even innovation that leads people away from Islam". They never oppose rulers. Madkhalism, as an example, is a strain of Salafists viewed as supportive of authoritarian regimes in the Middle East. Taking its name from the controversial Saudi Arabian cleric Rabee al-Madkhali, the movement lost its support in Saudi Arabia proper when several members of the Permanent Committee (the country's clerical body) denounced Madkhali personally. Influence of both the movement and its figureheads have waned so much within the Muslim world that analysts have declared it to be a largely European phenomenon. Activists are another strain of the global Salafi movement, but different from the Salafi jihadists in that they eschew violence and different from Salafi purists in that they engage in modern political processes. Due to numerical superiority, the movement has been referred to as the mainstream of the Salafist movement at times. This trend, who some call "politicos", see politics as "yet another field in which the Salafi creed has to be applied" in order to safeguard justice and "guarantee that the political rule is based upon the Shari'a". Al–Sahwa Al-Islamiyya (Islamic Awakening), as example, has been involved in peaceful political reform. Safar Al-Hawali and Salman al-Ouda are representatives of this trend. Because of being active on social media, they have earned some support among more educated youth. It's very simple. We want sharia. Sharia in economy, in politics, in judiciary, in our borders and our foreign relations. "Salafi Jihadism" was a term invented by Gilles Kepel to describe those self-claiming Salafi groups who began developing an interest in (armed) jihad during the mid-1990s. Practitioners are often referred to as "Salafi jihadis" or "Salafi jihadists". Journalist Bruce Livesey estimates Salafi jihadists constitute less than 1.0 percent of the world's 1.2 billion Muslims (i.e., less than 10 million). Another definition of Salafi jihadism, offered by Mohammed M. Hafez, is an "extreme form of Sunni Islamism that rejects democracy and Shia rule". Hafez distinguished them from apolitical and conservative Salafi scholars (such as Muhammad Nasiruddin al-Albani, Muhammad ibn al Uthaymeen, Abd al-Aziz ibn Abd Allah ibn Baaz and Abdul-Azeez ibn Abdullaah Aal ash-Shaikh), but also from the sahwa movement associated with Salman al-Ouda or Safar Al-Hawali. An analysis of the Caucasus Emirate, a Salafi jihadist group, was made in 2014 by Darion Rhodes. It analyzes the group's strict observance of tawhid and its rejection of shirk, taqlid, ijtihad and bid‘ah, while believing that jihad is the only way to advance the cause of Allah on the earth. Despite some similarities, the different contemporary self-proclaimed Salafist groups often strongly disapprove of one another and deny the other's Islamic character. In recent years, the Salafi methodology has come to be associated with the jihad of extremist groups that advocate the killing of innocent civilians. The European Parliament, in a report commissioned in 2013 claimed that Wahhabi and Salafi groups are involved, mainly via Saudi charities, in the support and supply of arms to rebel groups around the world. Some Salafi scholars appear to support extremism and acts of violence. The Egyptian Salafi cleric Mahmoud Shaaban "appeared on a religious television channel calling for the deaths of main opposition figures Mohammed ElBaradei – a Nobel Peace Prize laureate – and former presidential candidate Hamdeen Sabahi". Other salafis have rejected the use of violence. The Saudi scholar, Muhammad ibn al Uthaymeen considered suicide bombing to be unlawful and the scholar Abdul Muhsin al-Abbad wrote a treatise entitled: According to which intellect and Religion is Suicide bombings and destruction considered Jihad?. Muhammad Nasiruddin al-Albani stated that "History repeats itself. Everybody claims that the Prophet is their role model. Our Prophet spent the first half of his message making dawah, and he did not start it with jihad". Salafism is sponsored globally by Saudi Arabia and this ideology is used to justify the violent acts of Jihadi Salafi groups that include Al-Qaeda, ISIS, Boko Haram, and the Al-Shabaab. In addition, Saudi Arabia prints textbooks for schools and universities to teach Salafism as well as recruit international students from Egypt, Bangladesh, Indonesia, Africa and the Balkans to help spread Salafism in their local communities. Some other Islamic groups, particularly some Sufis, have also complained about extremism among some Salafi. It has been noted that the Western association of Salafi ideology with violence stems from writings "through the prism of security studies" that were published in the late 20th century and that continue to persist. Wahhabism is a more strict, Saudi form of Salafism, according to Mark Durie, who states that Saudi leaders "are active and diligent" using their considerable financial resources "in funding and promoting Salafism all around the world". Ahmad Moussalli tends to agree with the view that Wahhabism is a subset of Salafism, saying "As a rule, all Wahhabis are salafists, but not all salafists are Wahhabis". However, many scholars and critics distinguish between the old form of Saudi Salafism (termed as Wahhabism) and the new Salafism in Saudi Arabia. Stéphane Lacroix, a fellow and lecturer at Sciences Po in Paris, also affirmed a distinction between the two: "As opposed to Wahhabism, Salafism refers […] to all the hybridations that have taken place since the 1960s between the teachings of Muhammad bin ‘Abd al-Wahhab and other Islamic schools of thought". Hamid Algar and Khaled Abou El Fadl believe, during the 1960s and 70s, Wahhabism rebranded itself as Salafism knowing it could not "spread in the modern Muslim world" as Wahhabism. Its largesse funded an estimated "90% of the expenses of the entire faith", throughout the Muslim World, according to journalist Dawood al-Shirian. It extended to young and old, from children's madrasas to high-level scholarship. "Books, scholarships, fellowships, mosques" (for example, "more than 1,500 mosques were built from Saudi public funds over the last 50 years") were paid for. It rewarded journalists and academics, who followed it and built satellite campuses around Egypt for Al Azhar, the oldest and most influential Islamic university. Yahya Birt counts spending on "1,500 mosques, 210 Islamic centres and dozens of Muslim academies and schools"  at a cost of around $2–3bn annually since 1975. To put the number into perspective, the propaganda budget of the Soviet Union was about $1bn per annum. This spending has done much to overwhelm less strict local interpretations of Islam, according to observers like Dawood al-Shirian and Lee Kuan Yew, and has caused the Saudi interpretation (sometimes called "petro-Islam") to be perceived as the correct interpretation – or the "gold standard" of Islam – in many Muslims' minds. Salafis are often called Wahhabis, which they consider a derogatory term. Ahl-i Hadith is a religious movement that emerged in Northern India in the mid-nineteenth century. Adherents of Ahl-i-Hadith regard the Quran, sunnah, and hadith as the sole sources of religious authority and oppose everything introduced in Islam after the earliest times. In particular, they reject taqlid (following legal precedent) and favor ijtihad (independent legal reasoning) based on the scriptures. The movement's followers call themselves Salafi, while others refer to them as Wahhabi, or consider them a variation on the Wahhabi movement. In recent decades the movement has expanded its presence in Pakistan, Bangladesh, and Afghanistan. Syed Nazeer Husain from Delhi and Siddiq Hasan Khan of Bhopal are regarded as the founder of the movement. Folk Islam and Sufism, commonly popular with the poor and working class in the region, are anathema to Ahl-i Hadith beliefs and practices. This attitude toward Sufism has brought the movement into conflict with the rival Barelvi movement even more so than the Barelvis' rivals, the Deobandis. Ahl-i Hadith followers identify with the Zahiri madhhab. The movement draws both inspiration and financial support from Saudi Arabia. There are 5 to 6 million Salafis in Egypt. Salafis in Egypt are not united under a single banner or unified leadership. The main Salafi trends in Egypt are Al-Sunna Al-Muhammadeyya Society, The Salafist Calling, al-Madkhaliyya Salafism, Activist Salafism, and al-Gam’eyya Al-Shar’eyya. Since 2015 the Egyptian government has banned books associated with the Salafi movement. Al-Sunna Al-Muhammadeyya Society, also known as Ansar Al-Sunna, was founded in 1926 by Sheikh Mohamed Hamed El-Fiqi (d.), a 1916 graduate of Al-Azhar and a student of the famed Muslim reformer Muhammed Abduh. It is considered the main Salafi group in Egypt. El-Fiqi's ideas were resentful of Sufism. But unlike Muhammed Abduh, Ansar Al-Sunna follows the tawhid as preached by Ibn Taymiyyah. Salafist Call is another influential Salafist organisation. It is the outcome of student activism during the 1970s. While many of the activists joined the Muslim Brotherhood, a faction led by Mohammad Ismail al-Muqaddim, influenced by Salafists of Saudi Arabia established the Salafist Calling between 1972 and 1977. Salafist Call created the Al-Nour Party after the 2011 Egyptian Revolution. It has an ultra-conservative Islamist ideology, which believes in implementing strict Sharia law. In the 2011–12 Egypt parliamentary elections, the Islamist Bloc led by Al‑Nour party received 7,534,266 votes out of a total 27,065,135 correct votes (28%). The Islamist Bloc gained 127 of the 498 parliamentary seats contested, second-place after the Muslim Brotherhood's Freedom and Justice Party. Al‑Nour Party itself won 111 of the 127 seats. From January 2013 the party gradually distanced itself from Mohammad Morsi's Brotherhood government, and came to join the opposition in the July 2013 coup which ousted Morsi. A lawsuit against the party was dismissed on 22 September 2014 because the court indicated it had no jurisdiction. A case on the dissolution of the party was adjourned until 17 January 2015. Another court case that was brought forth to dissolve the party was dismissed after the Alexandria Urgent Matters Court ruled on 26 November 2014 that it lacked jurisdiction. According to Ammar Ali Hassan of al-Ahram, while Salafis and the Muslim Brotherhood agree on many issues such as the need to "Islamize" society and restricting private property rights by legally requiring all Muslims to give alms, the former has nevertheless rejected the flexibility of the latter on the issue of whether women and Christians should be entitled to serve in high office, as well as its relatively tolerant attitude towards Iran. Salafism has been dismissively labeled as "ultra-conservative", in the context of Tunisia after the 2011 revolution. In France, in 2015 police say that salafism is represented in 90 out of 2500 investigated religious communities, which is double the number compared to five years earlier. Salafism is a growing movement in Germany whose aim of a Caliphate is incompatible with a Western democracy. Estimates by German interior intelligence service show that it grew from 3,800 members in 2011 to 7,500 members in 2015. In Germany, most of the recruitment to the movement is done on the Internet and also on the streets, a propaganda drive which mostly attracts youth. There are two ideological camps, one advocates political Salafism and directs its recruitment efforts towards non-Muslims and non-Salafist Muslims to gain influence in society. The other and minority movement, the jihadist Salafism, advocates gaining influence by the use of violence and nearly all identified terrorist cells in Germany came from Salafist circles. In 2015, Sigmar Gabriel, Vice-Chancellor of Germany, spoke out, saying "We need Saudi Arabia to solve the regional conflicts, but we must at the same time make clear that the time to look away is past. Wahhabi mosques are financed all over the world by Saudi Arabia. In Germany, many dangerous Islamists come from these communities." In November 2016, nationwide raids were conducted on the Salafist True Religion. According to the German Federal Office for the Protection of the Constitution in Cologne, the number of Salafists in Germany grew from 9,700 in December 2016 to 10,800 in December 2017. In addition to the rise, the Salafist movement in Germany was increasingly fractured which made them harder to monitor by authorities. According to the office, street distributions of Quran took place less frequently which was described as a success for the authorities. Radicalisation changed character, from taking place in mosques and interregional Salafist organisations to more often happening in small circles, which increasingly formed on the internet. A further development was a rise in participation of women. Salafism is opposed by a number of Hui Muslims Sects in China such as by the Gedimu, Sufi Khafiya and Jahriyya, to the extent that even the fundamentalist Yihewani (Ikhwan) Chinese sect, founded by Ma Wanfu after Salafi inspiration, condemned Ma Debao and Ma Zhengqing as heretics when they attempted to introduce Salafism as the main form of Islam. Ma Debao established a Salafi school, called the Sailaifengye (Salafi), in Lanzhou and Linxia. It is completely separate from other Muslim sects in China. Muslim Hui avoid Salafis, even if they are family members. The number of Salafis in China are not included on percentage lists of Muslim sects in China. The Kuomintang Sufi Muslim General Ma Bufang, who backed the Yihewani (Ikhwan) Muslims, persecuted the Salafis and forced them into hiding. They were not allowed to move or worship openly. The Yihewani had become secular and Chinese nationalists; they considered the Salafiyya to be "heterodox" (xie jiao) and people who followed foreigners' teachings (waidao). After the Communists took power, Salafis were allowed to worship openly again. Many Islamic religious buildings were damaged or destroyed in the Bosnian War during the 90s, estimates say up to 80%, and some are rebuilt with the aid of funds from Saudi Arabia in exchange for Saudi control which became the starting point of the wahhabist influence in Bosnia. According to a some study from 2005,[by whom?] over 3% of the mainstream Sunni Muslim population (around 60,000 people) of Bosnia and Herzegovina identified themselves as wahhabist. Despite the wahhabism that came along with Saudi aid to rebuild the mosque and with Gulf-trained imams, all-covering veils such as niqab and burqa are still rare sight. An attempt at Salafist expansion among the Muslim Chams in Vietnam has been halted by Vietnamese government controls, however, the loss of the Salafis among Chams has been to be benefit of Tablighi Jamaat. Salafists in Sweden are supported financially by Saudi Arabia and Qatar. According to police in Sweden, salafists affect the communities where they are active. According to Swedish researcher Magnus Ranstorp, salafism is antidemocratic, homophobic and aims to subjugate women and is therefore opposed to a socital order founded on democracy. Similar to Saudi Arabia, most citizens of Qatar adhere to a strict sect of Salafism referred to as Wahhabism. The national mosque of Qatar is the Imam Muhammad ibn Abd al-Wahhab Mosque named after the founder of Wahhabism. Similar to Saudi Arabian sponsorship of Salafism, Qatar has also funded the construction of mosques that promote the Wahhabi Salafism. Unlike the strict practice of Wahhabi Salafism in Saudi Arabia, Qatar has demonstrated an alternative view of Wahhabism. In Qatar, women are allowed by law to drive, non-Muslims have access to pork and liquor through a state-owned distribution center, and religious police do not force businesses to close during prayer times. Also, Qatar hosts branches of several American universities and a "Church City" in which migrant workers may practice their religion. The adoption of a more liberal interpretation of Wahhabism is largely credited to Qatar's young Emir, Tamim bin Hamad Al Thani. Yet, Qatar's more tolerant interpretation of Wahhabism compared to Saudi Arabia has drawn backlash from Qatari citizens and foreigners. The Economist reported that a Qatari cleric criticized the state's acceptance of un-Islamic practices away from the public sphere and complained that Qatari citizens are oppressed. Although Qatari gender separation is less strict than that found in Saudi Arabia, plans to offer co-ed lectures were put aside after threats to boycott Qatar's segregated public university. Meanwhile, there have been reports of local discontent with the sale of alcohol in Qatar. Qatar has also drawn widespread criticism for attempting to spread its fundamental religious interpretation both through military and non-military channels. Militarily, Qatar has been criticized for funding rebel Islamist extremist fighters in the Libyan Crisis and the Syrian Civil War. In Libya, Qatar funded allies of Ansar al-Sharia, the jihadist group thought to be behind the killing of former U.S. ambassador Christopher Stevens, while channeling weapons and money to the Islamist Ahrar al-Sham group in Syria. In addition, Qatar-based charities and online campaigns, such as Eid Charity and Madid Ahl al-Sham, have a history of financing terrorist groups in Syria. Qatar has also repeatedly provided financial support to the Gaza government led by the militant Hamas organisation while senior Hamas officials have visited Doha and hosted Qatari leaders in Gaza. Qatar also gave approximately $10 billion to the government of Egypt during Mohamed Morsi's time in office. Non-militarily, Qatar state-funded broadcaster Al Jazeera has come under criticism for selective reporting in coordination with Qatar's foreign policy objectives. In addition, reports have condemned Qatar's financing of the construction of mosques and Islamic centers in Europe as attempts to exert the state's Salafist interpretation of Islam. Reports of Qatar attempting to impact the curriculum of U.S. schools and buy influence in universities have also spread. The nearby Persian Gulf States of Saudi Arabia, Bahrain, and the United Arab Emirates have been among the countries that have condemned Qatar's actions. In 2014, the three Persian Gulf countries withdrew their ambassadors from Qatar referencing Qatar's failure to commit to non-interference in the affairs of other Gulf Cooperation Council (GCC) countries. Saudi Arabia has also threatened to block land and sea borders with Qatar. A 2017 report found the number of Salafi and Wahhabi mosques in Britain had increased from 68 in 2007 to 110 in 2014. The report found that Middle Eastern nations are providing financial support to mosques and Islamic educational institutions, which have been linked to the spread of extremist material with "an illiberal, bigoted Wahhabi ideology". Worldwide there are roughly 50 million Salafi Sunnis, including roughly 20 to 30 million Salafis in India, 5 to 6 million Salafis in Egypt, and 1.6 million Salafis in Sudan. Salafi communities are smaller elsewhere, including roughly 10,000 in Tunisia, 17,000 in Morocco, 7,000 in Jordan, 17,000 in France and 5,000 in Germany. It is often reported from various sources, including the German domestic intelligence service (Bundesnachrichtendienst), that Salafism is the fastest-growing Islamic movement in the world. As opposed to the traditionalist Salafism discussed throughout this article, academics and historians have used the term "Salafism" to denote modernists, "a school of thought which surfaced in the second half of the 19th century as a reaction to the spread of European ideas" and "sought to expose the roots of modernity within Muslim civilization". They are also known as Modernist Salafis. However contemporary Salafis follow "literal, traditional […] injunctions of the sacred texts", looking to Ibn Taymiyyah rather than the "somewhat freewheeling interpretation" of 19th-century figures Muhammad Abduh, Jamal al-Din al-Afghani, and Rashid Rida. There has been some confusion in recent years because both the Islamic modernists and the contemporary Salafis refer (referred) to themselves as al-salafiyya, leading some observers to erroneously conclude a common ideological lineage. The earlier salafiyya (modernists), however, were predominantly rationalist Asharis. Inspired by Islamic modernists, groups like Muslim Brotherhood, Jamaat-e-Islami etc. are called Salafis in this context. Muslim Brotherhood include the term salafi in the "About Us" section of its website. In this context "in terms of their respective formation, Wahhabism and Salafism were quite distinct. Wahhabism was a pared-down Islam that rejected modern influences, while Salafism sought to reconcile Islam with modernism. What they had in common is that both rejected traditional teachings on Islam in favor of direct, ‘fundamentalist’ reinterpretation. 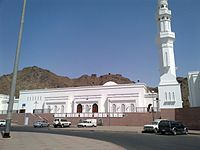 Although Salafism and Wahhabism began as two distinct movements, Faisal's embrace of Salafi (Muslim Brotherhood) pan-Islamism resulted in cross-pollination between ibn Abd al-Wahhab's teachings on tawhid, shirk and bid‘ah and Salafi interpretations of ahadith (the sayings of Muhammad). Some Salafis nominated ibn Abd al-Wahhab as one of the Salaf (retrospectively bringing Wahhabism into the fold of Salafism), and the Muwahideen began calling themselves Salafis." In a broad sense, Salafism is similar to Non-denominational Islam (NDM), in the sense some of its adherents do not follow a particular creed. Salafi (follower of Salaf) means any reform movement that calls for resurrection of Islam by going back to its origin. In line with Wahhabism they promote a literal understanding of the sacred texts of Islam and reject other more liberal reformist movements such as those inspired for example by  Muhammad Abduh or by Muhammad Iqbal. The claim that it is prohibited to use alcohol for perfumes [Fatwa 85]. One of the authors of al-Radd, the Professor of Law Anas Abu Shady states that, "they [the Salafis] want to be everything to everyone. They're interested not only in the evident (al-zahir), although most of their law goes back to the Muhalla [of the Ẓāhirī scholar Ibn Hazm], but they also are convinced that they alone understand the hidden (al-batin)!" The Syrian scholar Mohamed Said Ramadan Al-Bouti wrote a number of works refuting Salafism including Al-La Madhhabiyya (Abandoning the Madhhabs) is the most dangerous Bid‘ah Threatening the Islamic Shari'a (Damascus: Dar al-Farabi 2010) and Al-Salafiyya was a blessed epoch, not a school of thought (Damascus: Dar al-Fikr, 1990). The latter is perhaps the most famous refutation of Salafism in the twentieth century. Numerous academic rebuttals of Salafism have been produced in the English language by Khaled Abou El Fadl of the UCLA School of Law, Timothy Winter of Cambridge University and G.F. Haddad. El Fadl argues that fanatical groups such as al-Qaeda "derive their theological premises from the intolerant Puritanism of the Wahhabi and Salafi creeds". He also suggests that the extreme intolerance and even endorsement of terrorism manifest in Wahhabism and Salafism represents a deviation from Muslim historical traditions. El-Fadl also argues that the Salafi methodology "drifted into stifling apologetics" by the mid-20th century, a reaction against "anxiety" to "render Islam compatible with modernity," by its leaders earlier in the century. According to the As-Sunnah Foundation of America, the Salafi and Wahhabi movements are strongly opposed by a long list of Sunni scholars. [clarification needed] The Saudi government has been criticised for damaging Islamic heritage of thousands of years in Saudi Arabia. For example, there has been some controversy that the expansion projects of the mosque and Mecca itself are causing harm to early Islamic heritage. Many ancient buildings, some more than a thousand years old, have been demolished to make room not only for the expansion of the Masjid al-Haram, but for new malls and hotels. Though some Salafis who attended a lecture by The City Circle in the UK, were equally as opposed to it as other Muslims. The Salafi movement has been linked by Marc Sageman to some terrorist groups around the world, like Al-Qaeda. Although Salafist claim to re-establish Islamic values and protects Islamic culture, sociological observations show that they often interpret it in a manner which does not match with Islamic traditions, with some members of the movement regarding inherit elements of Islamic culture, such as music, poetry, literature and philosophy as works of the devil. Generally, Salafis do not adhere to traditional Islamic communities, and those who do, often oppose the traditional Islamic values. Salafis are accused of having a double-standard on their views on innovation, rejecting good innovations and unwittingly accepting harmful ones. Classical scholars (including imam Nawawi, who is widely praised by Salafis) categorized innovation into 5 types, yet Salafis consider all innovation to be sinful. This creates a strange paradox where they unwittingly accept some innovations and reject others. The compilation of the Qur'an under Abu Bakr's caliphate was an innovation, yet is accepted by Orthodox Muslims as an obligatory innovation to preserve the Qur'an. The notorious Salafi creed, which divides tawhid into 3 types, is itself an innovation which leads to liberal excommunication, prolific accusations of shirk, and violence against other Muslims. German government officials have stated that Salafism has a strong link to terrorism but have clarified that not all Salafists are terrorists. The statements by German government officials criticizing Salafism were televised by Deutsche Welle during April 2012. Muhammad Asadullah Al-Ghalib, (born January 15, 1948) a Bangladeshi salafi academic, reformist Islamic scholar and the leader of a puritan Islamic movement Ahle Hadeeth Movement Bangladesh (AHAB). He published more than 50 books and founding chief editor of an Islamic research journal in Bangla language, Monthly At-tahreek. Rabee al-Madkhali, Saudi scholar and former head of the Sunnah Studies Department at the Islamic University of Madinah. He is disassociated with extremist insurgent groups. ^ Esposito, John (2004). The Oxford Dictionary of Islam. Oxford University Press. p. 275. Retrieved 5 December 2015. ^ Joppke, Christian (1 April 2013). Legal Integration of Islam. Harvard University Press. p. 27. ISBN 9780674074910. Salafism, which is a largely pietistic, apolitical sect favoring a literalist reading of the Quran and Sunna. ^ "The Rise of European Colonialism". Harvard Divinity School. Retrieved 9 April 2018. ^ Esposito, John L.; Shahin, Emad El-Din (1 November 2013). The Oxford Handbook of Islam and Politics. OUP USA. p. 38. ISBN 9780195395891. ^ a b c Curtis, Edward E. (1 January 2010). Encyclopedia of Muslim-American History. Infobase Publishing. p. 499. ISBN 9781438130408. ^ Campo, Juan Eduardo (1 January 2009). Encyclopedia of Islam. Infobase Publishing. p. 601. ISBN 9781438126968. ^ Tucker, Spencer C.; Roberts, Priscilla (12 May 2008). The Encyclopedia of the Arab-Israeli Conflict: A Political, Social, and Military History [4 volumes]: A Political, Social, and Military History. ABC-CLIO. p. 975. ISBN 9781851098422. ^ Turner, J. (26 August 2014). Religious Ideology and the Roots of the Global Jihad: Salafi Jihadism and International Order. Springer. ISBN 9781137409577. ^ a b "Salafism: Politics and the puritanical". The Economist. 27 June 2015. Retrieved 29 June 2015. ^ a b c Al-Yaqoubi, Muhammad (2015). Refuting ISIS: A Rebuttal Of Its Religious And Ideological Foundations. Sacred Knowledge. p. xiii. ISBN 978-1908224125. 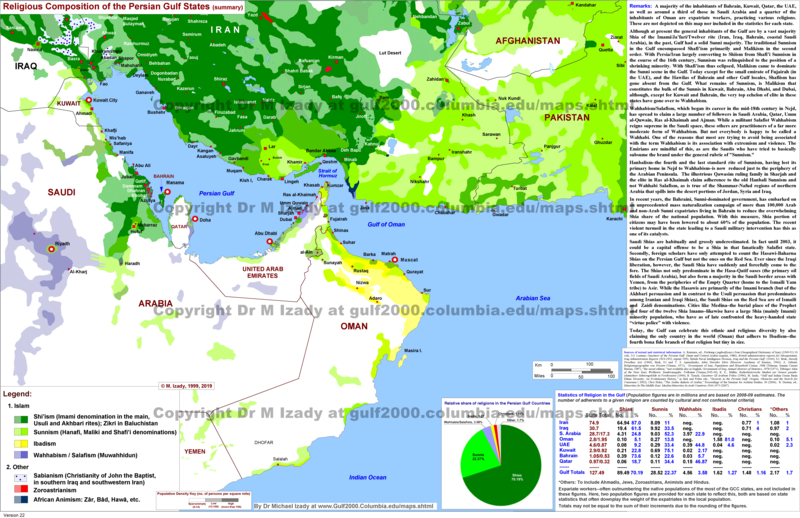 ^ a b c d e "Demography of Religion in the Gulf". Mehrdad Izady. 2013. ^ "The Shiʻis of Saudi Arabia". pp. 56–57. ^ "Salafism Infiltrates Turkish Religious Discourse". Middle East Institute. Retrieved 16 February 2018. ^ a b Stephane Lacroix, Al-Albani's Revolutionary Approach to Hadith. Leiden University's ISIM Review, Spring 2008, #21. ^ a b Kepel, Gilles (2006). Jihad: The Trail of Political Islam. I.B.Tauris. ISBN 9781845112578. Retrieved 28 January 2014. ^ a b Jihad By Gilles Kepel, Anthony F. Roberts. Books.google.com. 24 February 2006. ISBN 978-1-84511-257-8. Retrieved 18 April 2010. ^ a b Haykel, Bernard. "Sufism and Salafism in Syria". 11 May 2007. Syria Comment. Retrieved 22 May 2013. The Salafis of the Muhammad Abduh variety no longer exist, as far as I can tell, and certainly are not thought of by others as Salafis since this term has been appropriated/co-opted fully by Salafis of the Ahl al-Hadith/Wahhabi variety. ^ Wood, Graeme (20 December 2016). The Way of the Strangers: Encounters with the Islamic State. Penguin Books Limited. ISBN 9780241240120. ^ Lacey, Robert (2009). Inside the Kingdom, Kings, Clerics, Modernists, Terrorists, and the Struggle for Saudi Arabia. New York: Viking. p. 9. ^ Haykel, Bernard (2009). "Chapter 1: On the Nature of Salafi Thought and Action". In Meijer, Roel (ed.). Global Salafism: Islam's New Religious Movement. Columbia University Press. p. 34. ISBN 978-0-231-15420-8. ^ Roy, Olivier. Globalized Islam: The Search for a New Ummah. Columbia University Press. p. 266. Retrieved 13 October 2016. ^ Hamdeh, Emad (9 June 2017). "Qurʾān and Sunna or the Madhhabs? : A Salafi Polemic Against Islamic Legal Tradition". Islamic Law and Society. 24 (3): 211–253. doi:10.1163/15685195-00240A01. ISSN 1568-5195. ^ Stephane Lacroix; George Holoch (2011). Awakening Islam. Harvard University Press. p. 84. ISBN 978-0-674-04964-2. ^ "Abduh's statement of purpose was: To liberate thought from the shackles of Taqlid and understand religion as it was understood by the Salaf." Bennett, The Bloomsbury Companion to Islamic Studies, p. 168. ^ Lauzière, Henri (24 July 2008). The Evolution of the Salafiyya in the Twentieth Century through the life and thought of Taqi al-Din al-Hilali. Phd Dissertation Georgetown University. p. 61. ^ a b Lauzière, Henri (24 July 2008). The Evolution of the Salafiyya in the Twentieth Century through the life and thought of Taqi al-Din al-Hilali. Phd Dissertation Georgetown University. p. 63. ^ a b Lauzière, Henri (24 July 2008). The Evolution of the Salafiyya in the Twentieth Century through the life and thought of Taqi al-Din al-Hilali. Phd Dissertation Georgetown University. p. 65. ^ Quintan Wiktorowicz, Anatomy of the Salafi Movement, p. 216. ^ Commins, David (2006). The Wahhabi Mission and Saudi Arabia. I.B.Tauris. p. 7. ISBN 9780857731357. The Wahhabi religious reform movement arose in Najd, the vast, thinly populated heart of Central Arabia. ^ a b c Anatomy of the Salafi Movement by QUINTAN WIKTOROWICZ, Washington, D.C.
^ Roel Meijer, Global Salafism: Islam's New Religious Movement, p. 49. New York: Columbia University Press, 2009. ^ a b The Transmission and Dynamics of the Textual Sources of Islam: Essays in Honour of Harald Motzki, eds. Nicolet Boekhoff-van der Voort, Kees Versteegh and Joas Wagemakers, p. 382. Leiden: Brill Publishers, 2011. ^ Ghosh, Bobby (8 October 2012). "The Rise Of The Salafis". Time. 180 (15). Retrieved 6 May 2014. ^ a b "Special Reports - The Salafist Movement - Al Qaeda's New Front - FRONTLINE - PBS". www.pbs.org. ^ Coming to Terms: Fundamentalists or Islamists?, Martin Kramer, Middle East Quarterly, Spring 2003, pp. 65–77. ^ Hafez, Mohammed M. (23 June 2017). "Suicide Bombers in Iraq: The Strategy and Ideology of Martyrdom". US Institute of Peace Press – via Google Books. ^ Valentine, Simon Ross (28 November 2014). Force and Fanaticism: Wahhabism in Saudi Arabia and Beyond. Oxford University Press. p. 246. ISBN 9781849044646. ^ The Observer, Violent tide of Salafism threatens the Arab spring, by Peter Beaumont and Patrick Kingsley, 10 February 2013. ^ Reuters, Egypt orders cleric held over ElBaradei death call, by Marwa Awad, edited by Paul Taylor and Jon Hemming, 11 February 2013. ^ a b Gabriel G. Tabarani, Jihad's New Heartlands: Why the West Has Failed to Contain Islamic Fundamentalism, p. 26. ^ Quintan Wiktorowicz, Anatomy of the Salafi Movement, p. 217. ^ a b Husain, Ed (22 August 2014). "ISIS Atrocities Started With Saudi Support for Salafi Hate". The New York Times. ISSN 0362-4331. Retrieved 21 September 2015. ^ a b Friedman, Thomas L. (2 September 2015). "Our Radical Islamic BFF, Saudi Arabia". The New York Times. ISSN 0362-4331. Retrieved 21 September 2015. ^ Meijer, Roel (2009). "Introduction". In Meijer, Roel (ed.). Global Salafism: Islam's New Religious Movement. Columbia University Presss. p. 34. ISBN 978-0-231-15420-8. ^ Murphy, Caryle (5 September 2006). "For Conservative Muslims, Goal of Isolation a Challenge". Washington Post. The kind of Islam practiced at Dar-us-Salaam, known as Salafism, once had a significant foothold among area Muslims, in large part because of an aggressive missionary effort by the government of Saudi Arabia. Salafism and its strict Saudi version, known as Wahhabism, struck a chord with many Muslim immigrants who took a dim view of the United States' sexually saturated pop culture and who were ambivalent about participating in a secular political system. ^ Lewis, Bernard (27 April 2006). "Islam and the West: A Conversation with Bernard Lewis (transcript)". pewforum.org. Pew. Retrieved 5 August 2014. There are others, the so-called Salafia. It's run along parallel lines to the Wahhabis, but they are less violent and less extreme – still violent and extreme but less so than the Wahhabis. ^ Mark Durie (6 June 2013). "Salafis and the Muslim Brotherhood: What is the difference?". Middle East Forum. What is called Wahhabism – the official religious ideology of the Saudi state – is a form of Salafism. Strictly speaking, 'Wahhabism' is not a movement, but a label used mainly by non-Muslims to refer to Saudi Salafism, referencing the name of an influential 18th-century Salafi teacher, Muhammad ibn Abd al-Wahhab. ... The continuing impact of Salafi dogma in Saudi Arabia means that Saudi leaders are active and diligent in funding and promoting Salafism all around the world. If there is a mosque receiving Saudi funding in your city today, in every likelihood it is a Salafi mosque. Saudi money has also leveraged Salafi teachings through TV stations, websites and publications. ^ Moussalli, Ahmad (30 January 2009). Wahhabism, Salafism and Islamism: Who Is The Enemy? (PDF). A Conflicts Forum Monograph. p. 3. ^ Dillon, Michael R. "WAHHABISM: IS IT A FACTOR IN THE SPREAD OF GLOBAL TERRORISM?" (PDF). September 2009. Naval Post-Graduate School. pp. 3–4. Retrieved 2 April 2014. Hamid Algar […] emphasizes the strong influence of the Saudi petrodollar in the propagation of Wahhabism, but also attributes the political situation of the Arab world at the time as a contributing factor that led to the co-opting of Salafism. […] Khaled Abou El Fadl, […] expresses the opinion that Wahhabism would not have been able to spread in the modern Muslim world […] it would have to be spread under the banner of Salafism.8 This attachment of Wahhabism to Salafism was needed as Salafism was a much more 'credible paradigm in Islam'; making it an ideal medium for Wahhabism. […] The co-opting of Salafism by Wahhabism was not completed until the 1970s when the Wahhabis stripped away some of their extreme intolerance and co-opted the symbolism and language of Salafism; making them practically indistinguishable. ^ Abou El Fadl, Khaled (2005). The Great Theft: Wrestling Islam from the Extremists. p. 75. ^ Coolsaet, Rik. "Cycles of Revolutionary Terrorism, Chapter 7". In Rik Coolsaet (ed.). Jihadi Terrorism and the Radicalisation Challenge: European and American. Ashgate Publishing Ltd. The proliferation of brochures, free qurans and new Islamic centres in Malaga, Madrid, Milat, Mantes-la-Jolie, Edinburgh, Brussels, Lisbon, Zagreb, Washington, Chicago, and Toronto; the financing of Islamic Studies chairs in American universities; the growth of Internet sites: all of these elements have facilitated access to Wahhabi teachings and the promotion of Wahhabism as the sole legitimate guardian of Islamic thought. ^ a b "Wahhabism: A deadly scripture". The Independent. 1 November 2007. Retrieved 4 October 2015. ^ "Radical Islam in Central Asia". Retrieved 13 November 2014. ^ Kuan Yew Lee; Ali Wyne. Lee Kuan Yew: The Grand Master's Insights on China, the United States, and . MIT Press. But over the last 30-odd years, since the oil crisis and the petrodollars became a major factor in the Muslim world, the extremists have been proleytizing, building mosques, religious schools where they teach Wahhabism […] sending out preachers, and having conferences. Globalizing, networking. And slowly they have convinced the Southeast Asian Muslims, and indeed Muslims throughout the world, that the gold standard is Saudi Arabia, that that is the real good Muslim. ^ Laurent Bonnefoy, Salafism in Yemen: Transnationalism and Religious Identity, Columbia University Press/Hurst, 2011, ISBN 978-1-84904-131-7, p. 245. ^ a b Olivier, Roy; Sfeir, Antoine, eds. (2007). The Columbia World Dictionary of Islamism. Columbia University Press. p. 27. ^ Lieven, Anatol (2011). Pakistan: A Hard Country. New York: PublicAffairs. p. 128. ISBN 978-1-61039-023-1. Ahl-e-Hadith ... a branch of the international Salafi ... tradition, heavily influenced by Wahabism. ^ Daniel W. Brown, Rethinking Tradition in Modern Islamic Thought: Vol. 5 of Cambridge Middle East Studies, p. 32. Cambridge: Cambridge University Press, 1996. ISBN 9780521653947. Quote: "Ahl-i-Hadith [...] consciously identified themselves with Zahiri doctrine." ^ Sushant Sareen, The Jihad Factory: Pakistan's Islamic Revolution in the Making, p. 282. New Delhi: Har Anand Publications, 2005. ^ a b "What is Salafism and should we be worried?". ^ a b "Salafi Groups in Egypt - Islamopedia Online". www.islamopediaonline.org. ^ "Egypt to remove books of Ibn Taymiyyah, Ibn Baz and Ibn Uthaymeen from all mosques". DOA. Retrieved 6 January 2016. ^ Al-Nour Party Jadaliyya. Retrieved 19 December 2013. ^ Omar Ashour (6 January 2012). "The unexpected rise of Salafists has complicated Egyptian politics". The Daily Star. Retrieved 19 December 2013. ^ Salafis and Sufis in Egypt, Jonathan Brown, Carnegie Paper, December 2011. ^ Patrick Kingsley (7 July 2013). "Egypt's Salafist al-Nour party wields new influence on post-Morsi coalition | World news". London: theguardian.com. Retrieved 19 December 2013. ^ "Egypt court says it has no power to dissolve Nour Party". Ahram Online. 22 September 2014. Retrieved 22 September 2014. ^ "Cairo court adjourns case on dissolution of Islamist Nour Party". Ahram Online. 15 November 2014. Retrieved 15 November 2014. ^ Auf, Yussef (25 November 2014). "Political Islam's Fate in Egypt Lies in the Hands of the Courts". Atlantic Council. Retrieved 1 December 2014. ^ "Court claims no jurisdiction over religiously affiliated parties". Daily News Egypt. 26 November 2014. Retrieved 1 December 2014. ^ Hassan, Ammar Ali. "Muslim Brothers and Salafis". 06-12-2012. Al Ahram. Retrieved 19 May 2013. ^ Naylor, Phillip (15 January 2015). North Africa Revised. University of Texas Press. Retrieved 5 December 2015. ^ "Le salafisme gagne du terrain chez les musulmans". Le Monde. 1 April 2015. Retrieved 25 September 2015. ^ a b c d (www.dw.com), Deutsche Welle. "Zahl der Salafisten steigt in Deutschland auf Rekordhoch | Aktuell Deutschland | DW | 10 December 2017". DW.COM (in German). Retrieved 10 December 2017. Salafisten sind Anhänger einer fundamentalistischen Strömung des Islam, die einen mit der westlichen Demokratie unvereinbaren Gottesstaat anstreben. ^ a b c d e "(de) Salafistische Bestrebungen - Inhalte und Ziele salafistischer Ideologie". Bundesamt für Verfassungsschutz. Federal Office for the Protection of the Constitution. Retrieved 18 September 2015. ^ Reuters, 6 December 2015, German Vice Chancellor warns Saudi Arabia over Islamist funding. ^ Smali, Alison (19 November 2016). "Germany Cracks Down on Salafists to Shield Refugees". New York Times. Retrieved 20 November 2016. ^ Niebergall, Nina (15 November 2016). "'True religion:' How Salafists lure supporters". Deutsche Welle. Retrieved 16 November 2016. ^ Eddy, Melissa (15 November 2016). "Germany Bans 'True Religion' Muslim Group and Raids Mosques". New York Times. Retrieved 16 November 2016. ^ Jaschke, Hans-Gerd. "Orte der islamistischen Radikalisierung | bpb". bpb.de (in German). Retrieved 1 December 2018. Die beiden Verbote zeigen, dass in salafistischen Moscheen nicht nur auf religiöse Art rekrutiert und agiert wird, sondern in einigen von ihnen schwere Straftaten bis hin zu terroristischen Aktionen geplant wurden. ^ Michael Dillon (1999). China's Muslim Hui community: migration, settlement and sects. Richmond: Curzon Press. p. 208. ISBN 978-0-7007-1026-3. Retrieved 28 June 2010. ^ Maris Boyd Gillette (2000). Between Mecca and Beijing: modernization and consumption among urban Chinese Muslims. Stanford University Press. p. 81. ISBN 0-8047-3694-4. Retrieved 28 June 2010. ^ John L. Esposito (1999). The Oxford History of Islam. Oxford University Press US. p. 749. ISBN 0-19-510799-3. Retrieved 28 June 2010. ^ BARRY RUBIN (2000). Guide to Islamist Movements. M.E. Sharpe. p. 800. ISBN 0-7656-1747-1. Retrieved 28 June 2010. ^ Maya Shatzmiller (2002). Islam and Bosnia: Conflict Resolution and Foreign Policy in Multi-Ethnic States. Queens University School of Policy. p. 100. ^ "Islamists Gain Ground in Sarajevo". Der Spiegel. 25 February 2009. Retrieved 14 March 2017. ^ Féo, Agnès De. "Les musulmans de Châu Đốc (Vietnam) à l'épreuve du salafisme". Recherches en sciences sociales sur l'Asie du Sud-Est. moussons: 359–372. ^ a b c "(sv) Gävles moské vill sprida extrem tolkning av islam". Gefle Dagblad. 7 September 2015. Retrieved 8 September 2015. ^ "Tre olika Malmöföreningar ville lyssna på bin Ladins förra mentor". Sydsvenskan. 29 April 2016. Retrieved 3 May 2016. ^ a b "Moskéns ledning sprider extremism och hat". Expressen (in Swedish). Retrieved 4 June 2017. ^ "Säpochefen: "Det finns tusentals radikala islamister i Sverige"". Aftonbladet. Retrieved 17 June 2017. ^ Radio, Sveriges. "Säpo: Huge increase in violent Islamist extremists in Sweden - Radio Sweden". Retrieved 17 June 2017. ^ "Ekstremistisk islamisme vokser i Sverige". DR (in Danish). Retrieved 8 July 2018. ^ "Tiny Qatar's growing global clout". BBC News. 1 May 2011. Retrieved 30 November 2016. ^ "PHOTOS: Qatar's state mosque opens to the public". Doha News. 16 December 2011. Retrieved 30 November 2016. ^ a b c "The other Wahhabi state". The Economist. 4 June 2016. ISSN 0013-0613. Retrieved 30 November 2016. ^ "Study in Qatar". Top Universities. 14 September 2016. Retrieved 30 November 2016. ^ "Qatar's 'Church City' grows as Christianity loses taboo status". Doha News. 16 May 2011. Retrieved 30 November 2016. ^ Delmar-Morgan, Alex (7 January 2012). "Qatar, Unveiling Tensions, Suspends Sale of Alcohol". Wall Street Journal. ISSN 0099-9660. Retrieved 30 November 2016. ^ Spencer, By David Blair and Richard. "How Qatar is funding the rise of Islamist extremists". Telegraph.co.uk. Retrieved 30 November 2016. ^ Reports, CATF. "Eid Charity's Al Baraka Initiative: Admirable or Alarming?". Retrieved 30 November 2016. ^ "Analysis: Qatar still negligent on terror finance | FDD's Long War Journal". FDD's Long War Journal. Retrieved 30 November 2016. ^ "Qatar says gives $30 million to pay Gaza public sector workers". Reuters. 22 July 2016. Retrieved 30 November 2016. ^ "Why Israel Lets Qatar Give Millions To Hamas". NPR.org. Retrieved 30 November 2016. ^ Law, Bill (5 July 2013). "Egypt crisis: Fall of Morsi challenges Qatar's new emir". BBC News. Retrieved 30 November 2016. ^ "Al-Jazeera TV network draws criticism, praise for coverage of Arab revolutions". Washington Post. Retrieved 30 November 2016. ^ Reports, CATF. "Qatari Donors Are Buying a Say in Italy's Islam". Retrieved 30 November 2016. ^ Reports, CATF. "Libya, Qatar Seeking Influence in U.S. Schools". Retrieved 30 November 2016. ^ Reports, CATF. "Qatar: From Oxford Classrooms to Europe's Hearts and Minds". Retrieved 30 November 2016. ^ "Gulf trio pull Qatar ambassadors - why now?". Al-Arabiya. Retrieved 28 September 2018. ^ "Saudi threatens to block Qatar's land, sea borders". Arabian Business. Retrieved 30 November 2016. ^ "Why India's 'Muslim Rage' Is Different from the Middle East's". Time. 1 October 2012. ^ Sharif, Jamal Al. "Salafis in Sudan:Non-Interference or Confrontation". studies.aljazeera.net. ^ Barby Grant. "Center wins NEH grant to study Salafism". Arizona State University. Retrieved 9 June 2014. It also reveals that Salafism was cited in 2010 as the fastest growing Islamic movement on the planet. ^ Simon Shuster (3 August 2013). "Comment: Underground Islam in Russia". Slate. Retrieved 9 June 2014. It is the fastest-growing movement within the fastest-growing religion in the world. ^ CHRISTIAN CARYL (12 September 2012). "The Salafi Moment". FP. Retrieved 9 June 2014. Though solid numbers are hard to come by, they're routinely described as the fastest-growing movement in modern-day Islam. ^ "SE Asian Muslims caught between iPad and Salafism - The Nation". Nation Multimedia. ^ Kjeilen, Tore. "Salafism - LookLex Encyclopaedia". i-cias.com. ^ "‘Abduh clearly did not claim to be a Salafi nor identified his followers as Salafis. He simply referred al-Salafiyyin in the context of theological debates as Sunni Muslims who differed from Ash’arites based on their strict adherence to ‘aqidat al-salaf (the creed of the forefather) (Lauziere, 2010)"
^ The split between Qatar and the GCC won’t be permanent "However, the intra-Sunni divides have not been so clear to foreign observers. Those divides include the following: purist Salafism (which many call "Wahhabism"), modernist Salafism (which is the main intellectual ancestor of the Muslim Brotherhood) and classical Sunnism (which is the mainstream of Islamic religious institutions in the region historically"
^ Račius, Egdūnas. "Islamic Law in Lithuania? Its Institutionalisation, Limits and Prospects for Application." Exploring the Multitude of Muslims in Europe: Essays in Honour of Jørgen S. Nielsen (2018): 109. ^ a b c Gauvain, Richard (12 December 2012). Salafi Ritual Purity: In the Presence of God. Routledge. p. 268. ISBN 9781136446931. ^ Gauvain, Richard (12 December 2012). Salafi Ritual Purity: In the Presence of God. Routledge. p. 318. ISBN 9781136446931. ^ Gauvain, Richard (12 December 2012). Salafi Ritual Purity: In the Presence of God. Routledge. p. 4. ISBN 9781136446931. ^ Lauzire, Henri (8 December 2015). The Making of Salafism: Islamic Reform in the Twentieth Century. Columbia University Press. ISBN 9780231540179. ^ a b Fish, M. Steven (9 February 2011). Are Muslims Distinctive? : A Look at the Evidence. Oxford University Press, US. p. 132. ISBN 9780199769209. ^ As-Sunnah Foundation of America, Wahhabism: Understanding the Roots and Role Models of Islamic Extremism by Zubair Qamar, condensed and edited by ASFA staff. This article lists 65 Sunni scholars from different time periods, whom the article claims were opposed to either the Salafi or the Wahhabi movements. The article claims that the Wahhabi movement is the same thing as the Salafi movement. ^ Laessing, Ulf (18 November 2010). "Mecca goes Upmarket". Reuters. Retrieved 1 December 2010. ^ Taylor, Jerome (24 September 2011). "Mecca for the rich: Islam's holiest site turning into Vegas". The Independent. London. ^ Abou-Ragheb, Laith (12 July 2005). "Dr.Sami Angawi on Wahhabi Desecration of Makkah". Center for Islamic Pluralism. Retrieved 28 November 2010. ^ The Independent, The photos Saudi Arabia doesn't want seen – and proof Islam's most holy relics are being demolished in Mecca , by Jerome Taylor, 15 March 2013. The article says that the Saudis are dismantling some old parts the Grand Mosque at Mecca, as part of work to make the mosque larger, and that the sites of other very old buildings in Mecca and Medina have been redevloped over the past twenty years. The article claims that many senior Wahhabis believe that preserving historic relics for their own sake is undesirable because it encourages idolatry (shirq). ^ The Independent, Why don't more Muslims speak out against the wanton destruction of Mecca's holy sites?, by Jerome Taylor, 28 October 2012. ^ "Federal Office for the Protection of the Constitution (Bundesamt für Verfassungsschutz) 7/18/2012: latest 2011 report on Islamic Salafist extremism in Germany (English)". ^ (www.dw.com), Deutsche Welle. "Salafist extremism spreading in Germany - Germany - DW - 08.05.2012". DW.COM. ^ Janson, Marloes (28 October 2013). Islam, Youth and Modernity in the Gambia: The Tablighi Jama'at. Cambridge University Press. p. 244. ISBN 9781107040571. ^ Bowen, Innes Medina in Birmingham, Najaf in Brent: Inside British Islam, Quote: "He remained a Salafi but became a popular speaker at events organised by a wide range of Islamic organisations"
^ "Jordanian cleric Abu Qatada acquitted of terror charges". america.aljazeera.com. Retrieved 5 January 2016. ^ Cesari, Jocelyne (25 July 2013). Why the West Fears Islam: An Exploration of Muslims in Liberal Democracies. Palgrave Macmillan. ISBN 9781137258205. ^ Bowen, Innes (15 August 2014). Medina in Birmingham, Najaf in Brent: Inside British Islam. Hurst. ISBN 9781849045308. ^ MARGARET COKER and JENNY GROSS, "Islamic Preacher Anjem Choudary Charged in U.K. With Inviting Support of Terror", Wall Street Journal, 5 August 2015 |Quote="Mr. Choudary supports the fundamentalist strain of Islamic teaching known as Salafism and believes that Muslims can only attain a state of purity by living in a nation that is based on religious law, known as Shariah." ^ The Guardian: "Anjem Choudary: the British extremist who backs the caliphate" by Andrew Anthony 6 September 2014 |"Although that was an event that radicalised a generation of Muslim activists, the former friend suggests it might have been Choudary's failure to land a job with a big legal firm upon graduating that set him off on his path to Salafi righteousness." ^ Rabasa, Angel; Benard, Cheryl (27 October 2014). Eurojihad: Patterns of Islamist Radicalization and Terrorism in Europe. Cambridge University Press. ISBN 9781316062685. ^ Aridi, Sara. "Islamic preacher charged with promoting ISIS in UK". Christian Science Monitor. ISSN 0882-7729. Retrieved 18 December 2015. ^ Richey, Warren. "To turn tables on ISIS at home, start asking unsettling questions, expert says". Christian Science Monitor. ISSN 0882-7729. Retrieved 2 March 2016. ^ The Globe and Mail: "Controversial imam Bilal Philips says banning him won’t stop his message" 15 September 2014 |"If Salafi means that you’re a traditionalist that follows the scripture according to the early traditions, then yeah. I’m not a modernist. I’m not a person who makes his own individual interpretations according to the times." ^ "Bombing Inquiry Turns to Motive and Russian Trip". ^ Al Jazeera Studies: "Arab World Journalism in a Post-Beheading Era" by Thembisa Fakude 2013 |"Al-Munajjid is considered one of the respected scholars of the Salafist movement, an Islamic school of thought whose teachings are said to inspire radical movements in the Arab world, including al-Qaeda and a group called al-Dawla al-Islamiya fil Iraq wal Sham (also known as the Islamic State, IS or Daesh)." ^ Caryle Murphy (15 July 2010). "A Kingdom Divided". GlobalPost. Archived from the original on 5 May 2014. Retrieved 6 May 2014. First, there is the void created by the 1999 death of the elder Bin Baz and that of another senior scholar, Muhammad Salih al Uthaymin, two years later. Both were regarded as giants in conservative Salafi Islam and are still revered by its adherents. Since their passing, no one "has emerged with that degree of authority in the Saudi religious establishment," said David Dean Commins, history professor at Dickinson College and author of The Wahhabi Mission and Saudi Arabia. ^ আহলেহাদীছ আন্দোলন বাংলাদেশ. Ahlehadeethbd.org (in Bengali). Retrieved 2 February 2016. ^ মাসিক আত-তাহরীক - জানুয়ারী ২০১৬. At-tahreek.com (in Bengali). Retrieved 2 February 2016. ^ Dowd, Robert A. (1 July 2015). Christianity, Islam, and Liberal Democracy: Lessons from Sub-Saharan Africa. Oxford University Press. p. 102. ISBN 9780190225216. ^ Scheuer, Michael (20 January 2011). Osama Bin Laden. Oxford University Press. p. 247. ISBN 9780199753277. ^ Fair, C. Christine; Watson, Sarah J. (18 February 2015). Pakistan's Enduring Challenges. University of Pennsylvania Press. p. 246. ISBN 9780812246902. Osama bin Laden was a hard-core Salafi who openly espoused violence against the United States in order to achieve Salafi goals. ^ Brown, Amy Benson; Poremski, Karen M. (18 December 2014). Roads to Reconciliation: Conflict and Dialogue in the Twenty-first Century. Routledge. p. 81. ISBN 9781317460763. ^ "Profile: Sheikh Rabi' Ibn Haadi 'Umayr Al Madkhali". The Muslim 500: The World's Most Influential Muslims. The Royal Islamic Strategic Studies Centre (MABDA المركز الملكي للبحوث و الدراسات الإسلامية ), see Royal Aal al-Bayt Institute for Islamic Thought. Archived from the original on 22 March 2013. ^ Elliot, Andrea (17 April 2011). "Why Yasir Qadhi Wants to Talk About Jihad", New York Times. ^ Swami, Praveen (2011). "Islamist terrorism in India". In Warikoo, Kulbhushan (ed.). Religion and Security in South and Central Asia. London, England: Taylor & Francis. p. 61. ISBN 9780415575904. To examine this infrastructure, it is useful to consider the case of Zakir Naik, perhaps the most influential Salafi ideologue in India. Muhammad in History, Thought, and Culture: An Encyclopedia of the Prophet of God (2 vols. ), Edited by C. Fitzpatrick and A. Walker, Santa Barbara, ABC-CLIO, 2014. ISBN 1610691776.